Ethan jokingly warns Khalil during their shower scene: "Better not go below the belt." 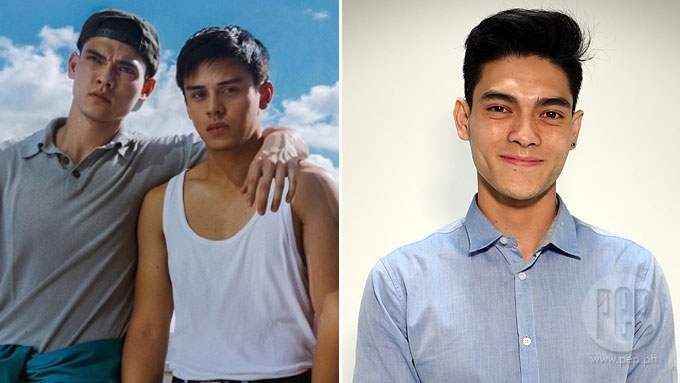 Ethan Salvador revealed that his shower scene with Khalil Ramos in 2 Cool 2 Be 4gotten took 32 takes! Ethan Salvador reveals that it took him and Khalil Ramos several hours to shoot their shower scene in the indie film 2 Cool 2 Be 4gotten. The movie, which won Best Picture in Cinema One Originals 2016, is currently enjoying its mainstream theatrical run that started today, March 15. Ethan told PEP.ph (Philippine Entertainment Portal) earlier today during a video interview shoot that he and Khalil had to learn techniques before doing such sensitive scenes. He explained, "We used a lot of techniques about emotional recall in acting, just really go back to the moment that was most hard. "The techniques that we learned are objective-based just like life and your will to win. "We talked about it a lot and before we go on to the scene, we sit down and we get our deep connection with each other and share our commonality of pain." It was only during the workshop, he said, where they both felt awkward about their characters. He said, "At first it's awkward during the workshops but once you're there at the moment, and you're encapsulated in the scene, it doesn't become awkward. I become Magnus, he becomes Felix." Ethan, who plays Magnus in 2 Cool 2 Be 4gotten, said that it actually took them 32 takes to complete the scene. He revealed in jest, "The first couple of times it got awkward but we just got used to it so it's like, 'Hey, take 32!' I don't really care anymore, let's get this over with, I'm tired. "I think we took at least 32 takes. There's this maraming problems on the set, the weather, electricity went out. "They changed my clothes like 12 times then we have to stay awake, we kept drinking coffee." What did he tell Khalil before shooting the scene? He answered with a laugh, "I was just like, better not go below the belt, man. "I know your character but hey, let's just have mutual respect! "We just kept joking around!" MTRCB RATING. Meanwhile, a post regarding the film's MTRCB rating is becoming viral today since it says that the film has "No redeeming social value." Ethan retweeted this on his Twitter account. MTRCB, which stands for Movie and Television Review and Classification Board, is the governing body that identifies the audience ratings of movies. 2 Cool 2 Be 4gotten got an R-18 rating. When PEP asked for his reaction to this MTRCB review, he said, "It's ridiculous to say that there's no redeeming social value. It's about someone struggling to come out of the closet. "I have a lot of friends that I grew up who had that too. It's just a shame that it's not gonna teach you to be comfortable with that because everyone deserves to be happy. "And it's a shame when people are in the closet cant be themselves." He shrugged his shoulders and simply said, "It's ridiculous saying that it has no redeeming value, pero..."
He was also shocked to learn that this Cinema One 20156 entry got an R-18 rating. 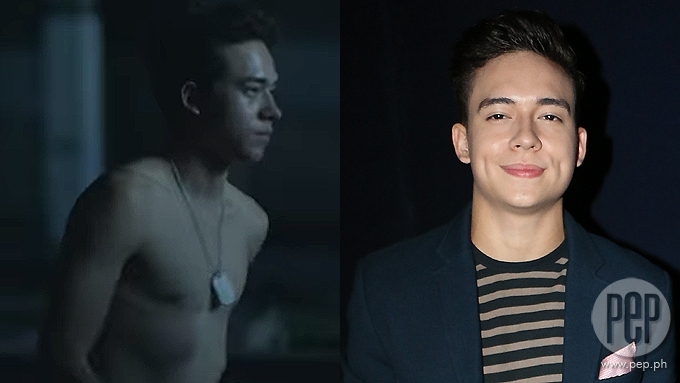 2 Cool 2 Be 4gotten is directed by Petersen Vargas and also stars Ana Capri and Jameson Blake, who had a masturbation scene in the film. No redeeming social value. Uhm... so coming out and discovering one's self has no value at all? Jameson teased: Nanalo ka dahil pinakita mo yung pwet mo! Jameson on masturbation scene: I thought twice about it. Khalil Ramos on his gay-themed movie: "May sexual tension."